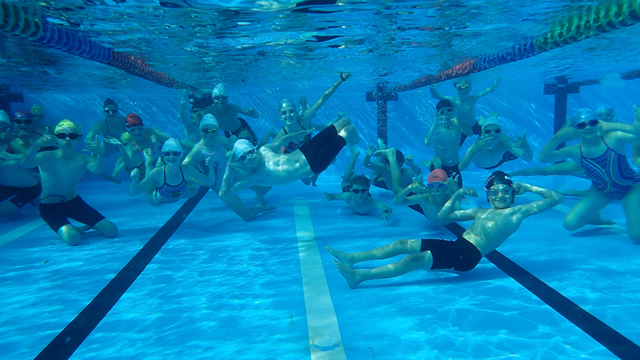 Our junior fitness squad swimmers need to have reached a level of competence in their technique that illustrates proficiency in freestyle, backstroke and breaststroke. Sessions will be geared towards developing the ability to participate in our club events (pool based or open water) held throughout the year. The yearly training plan will focus on these events. For 10-year-olds up with a fitness level such that they can swim at least 1km. The squad will concentrate on fitness with technique drills to ensure they develop and maintain a strong capable swim stroke. This squad will also learn to dive, tumble-turn and use the swim pace clock during workouts. We offer the opportunity to swim twice a week with workout distance being between 1.2k – 2km. When the swimmer technique and fitness have reached a suitable level they are then moved through to our Advanced Squad to ensure progress is maintained. Our Advanced Squad swimmers are generally 12-15yrs old and have reached a level of competence in their technique and fitness that enables them to swim at least 1.5-2km. Ideally they have learnt to dive, tumble-turn and use the swim pace clock during workouts’ so we can challenge them to improve fitness with increased volume and intensity in their sessions. When the swimmer’s technique and fitness have reached a suitable level they can move to our Senior Squad to ensure progress is maintained. Our Senior Squad rise early for a 6-7am session and include keen 14-17 year-old swimmers. They are expected to take training more seriously and apply themselves accordingly, demonstrating their best whether it be technique, drills or challenging swim sets. The hour sessions cover a minimum of 2.5 – 3km, focusing predominately on freestyle with the inclusion of other strokes. The swimmers develop a great camaraderie and attend their sessions regularly. Adult squad swimmers will already be proficient in freestyle, backstroke and breaststroke. They don’t need to be super-fit, indeed many new members are returning to swimming after a long absence. With the exception of Late Evening Masters (8pm – 9pm), our sessions are all coached. This is an adult fitness group for ‘leisurely-paced’ swimmers or those just returning to swimming. Freestyle is the predominate stroke with occasional breaststroke and back stroke. There is not a “learn to swim” squad although some basic stroke instruction is provided and swimming drills are incorporated into the program. The squad normally covers up to 2.5km in distance each session. Includes Morning Masters, Evening Masters and Late Masters. Typical workouts are 2.5-3 km, mainly freestyle, although other strokes included at most sessions. A reasonable standard of technique is required to join this group. It is a fitness squad and swimming drills are incorporated into the program. The emphasis of this group is to build and maintain a strong fitness level and regular attendance is encouraged. Note that Late Evening Masters (8-9pm) are currently uncoached. Uncoached swimming – ideal for friends or spouses of ‘card carrying’ members, we offer a reduced rate of $80 per quarter, for uncoached swimming on Friday evenings between 6-9pm, Saturday and/or Sunday mornings (7-9am). 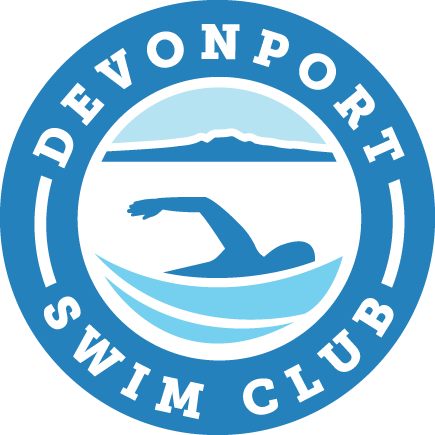 Entry to the Navy pool at these times is on the basis you are over 18 and swim with a ‘buddy’ who is already a Devonport Swim Club Member and has been issued a Navy security pass. Please remember that uncoached times are for Masters (ie., Members with a Navy-issue photographic id card) and there must be at least two club members in the pool at any time. Junior members can swim in uncoached times only if accompanied by a Master who has a suitable first aid qualification.